L-Acoustics Premier Audio Systems – TST Has Them! Total Show Technology is excited to announce a recent expansion of inventory to include L-Acoustics audio systems. 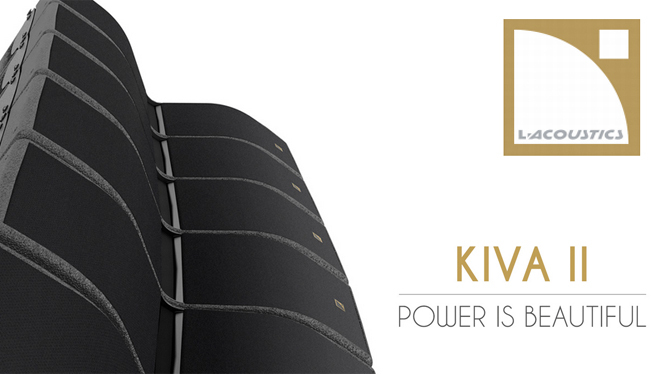 The newly purchased Kiva modular line array is a large speaker system that offers clarity, intelligibility and precision, as well as an ultra-compact and lightweight design. L-Acoustics is known for its in-depth, highly selective vetting process. In particular, they only form partnerships with and sell their industry-leading products to companies that demonstrate expert-level skills and capabilities in the products’ consistent professional operation. The new audio systems are part of TST’s inventory expansion, which also includes beMatrix LEDskin, a revolutionary product in the field of stand building. L-Acoustics is a French manufacturer of loudspeakers, amplifiers and signal processing devices. Recognized throughout the industry for pioneering the modern line array, L-Acoustics offers a total system approach for both the touring and fixed installation markets, along with a product line responding to the needs of venues from the most intimate clubs to the grandest arenas.